That’s the value of the worldwide golf equipment and apparel market. This is before green fees, travel, gambling, television subscriptions and golf lessons are even considered. It’s safe to say that there is a lot of money in golf. And no wonder, golf is the world’s 8th most popular sport. What’s more, a lot of people spend a lot of money playing golf. On the surface, this suggests that golf should be a ripe market for affiliate marketing. Let’s have a look and find out if it is. What Does The Golf Industry Look Like? 25.3 million: The number of Americans who have played golf in the past 12 months. $2,776: The amount the average golfer spends per year. 34,000: The estimated number of golf courses around the world. $20.8 million: The prize money won by Jordan Spieth in 2016. 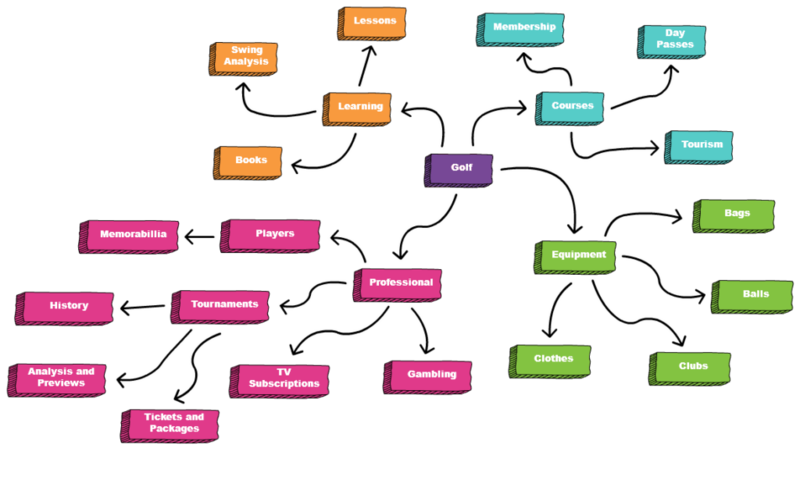 The keywords selected here show just how many categories or sub-niches are available to a golf website. 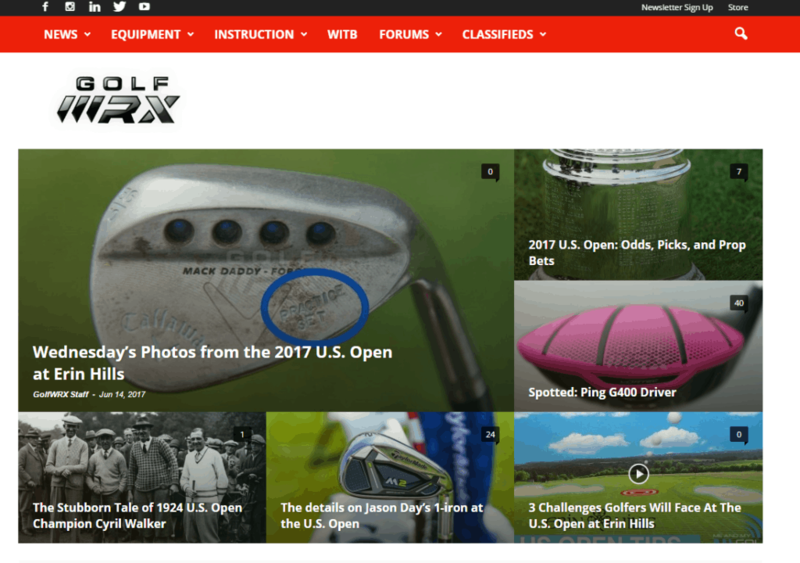 A golf website could review equipment (such as “golf cart” or “under armour golf shoes”), they can discuss world famous golf courses (“troon golf” or “st andrews golf course”) and tie this in with golf tourism. Another option is to create educational content. Keywords such as “how to hold a golf club” or “regripping golf clubs”, lend themselves perfectly to this. “Golf movies”, “golf jokes” and “golf memes” also lends itself perfectly to the lighter side of the sport. The bonus of this kind of material is that it ties into a successful social media strategy. It is also important to remember that a lot of golf is local or location based. Golfers need to physically go to the golf course. That is why you will see keywords like “golf course near me” with such high search volume. Based on this information, it could make sense to segment the golf market based on location. This is especially true if you plan to monetize your site through “golf breaks”. Interestingly, there are a lot of golf related keywords with high search volume and pretty low keyword difficulty. This suggests that it is not that difficult to generate a lot of traffic to your site if you can identify the right keywords or angle to your golf site. Who is Doing Golf Affiliate Marketing Well? Golf WRX has an estimated annual revenue of around $10m. They have positioned themselves as an online golf magazine. This allows them to report on the latest golf news, equipment, tips and more. If you think about it, this is an inspired strategy. Golf WRX manages to report the latest news, and other sites then link to them as the source for the story. This ability to build links organically is an invaluable asset. According to Ahrefs, there are almost 3.4k referring domains to Golf WRX. A number of these links are from mainstream news websites, such as Forbes and CBS News. To monetize, Golf WRX focus mainly on reviews of equipment. On the surface, this looks like a classic, simple review format. However, Golf WRX manages to elevate it by adding complex data.. The detail of the statistics is perfect for the experienced golfer, who is likely to buy the kind of clubs in this review. Golf WRX then monetize by linking to various retailers who stock the clubs. It is a simple and effective table that allows users to go to each site and compare prices. Golf WRX are careful not to breach the terms and conditions of the guidelines of the Amazon affiliate program by listing a price that is not pulled into the site from a live feed. Free Super Tips chooses to monetize through another option – gambling. Now, gambling may not be legal in the USA, but there is a massive market in the UK and around the world. For example, Paddy Power offers a 25% revenue share through their affiliate program – Paddy Partners. Low Competition - While there are big golf sites, the level of competition is nowhere near as fierce as in other niches. Lots of Disposable Income - Golfers have lots of disposable income, and they like to spend it on everything to do with golf. Interesting Keywords - The SERPs are not saturated. There are loads of keywords with a low keyword difficulty and reasonably high search volume. Easy Link Building - Golf is 100% inoffensive. People are happy to link to golf sites if it is relevant. Golf is also in the news regularly, and people will link to golf sites as sources for their stories. Cons of Golf Affiliate Marketing? Complex Niche - Golfers are nerds. They know what they are talking about and will quickly figure it out if you don’t. Should I Start a Golf Website? Golf is a great niche. There is a good volume of search traffic, relatively low competition and lots of keywords. There are lots of different ways to monetize your site. It is not too complicated to build links to your site. Social media is a lot easier than other markets (mortgages, insurance) because people are fans. Basically, there is lots of upside and very little downside. 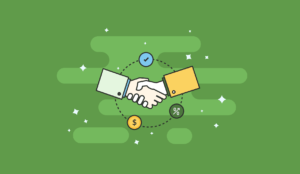 If you want to check out other niches, you can also check our list of best affiliate programs here.